Painkiller developer People Can Fly has amicably left Epic Games, taking the license for Bulletstorm with it. 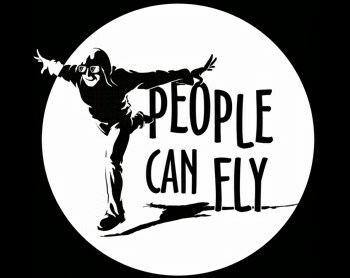 People Can Fly is one developer that made an impression from the very start. In 2004 it unveiled Painkiller, an action-packed FPS about fighting monsters across Hell and Purgatory. The team was eventually acquired by Epic Games where it helped create Bulletstorm and Gears of Wars: Judgement, and was eventually renamed Epic Games Poland. Now the company has announced it's returning to its independent roots - People Can Fly just left Epic Games, returned to its original name, and even purchased the Bulletstorm IP as it left. "We, as a People Can Fly team, are extremely excited about new possibilities ahead of us," studio director Sebastian Wojciechowski explained. "We're going to work on a new game, while continuing to partner with Epic and use UE4. We're grateful to Tim and the whole Epic team for our long and successful collaboration." While the news is surprising, from all appearances it's an amicable parting of ways. "We've been honored to work with this brilliant group of programmers, artists and designers throughout their history," Epic founder and CEO Tim Sweeney said, "first as a partner using the Unreal Engine, then as a studio within Epic, and now once again as an independent company." People Can Fly is working on a unannounced project, but considering it acquired Bulletstorm as it left, a sequel would be a likely candidate. We'll post new information as it develops.